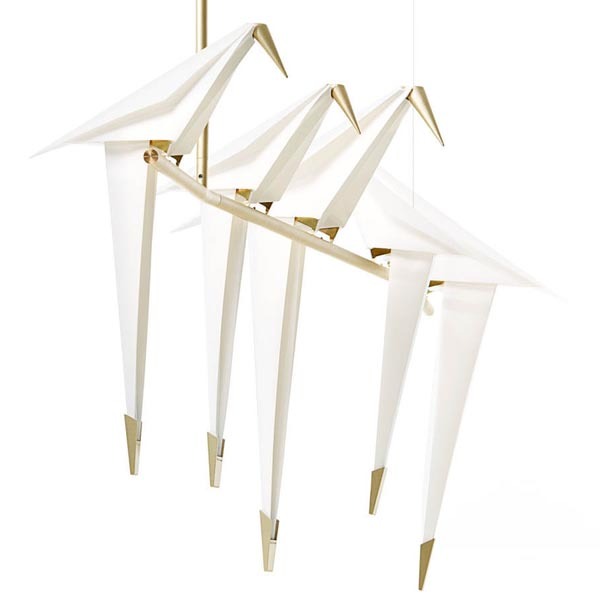 I've been looking for ages for a unique and artistic hanging lamp which I could hang above our family dining table until I found this new Moooi Perch Light Branch Brass Suspension Lamp for sale at Stardust Modern Design featuring Origami-Style folded Birds that are illuminated from within. Perch Light for Moooi, Branch, 2017. 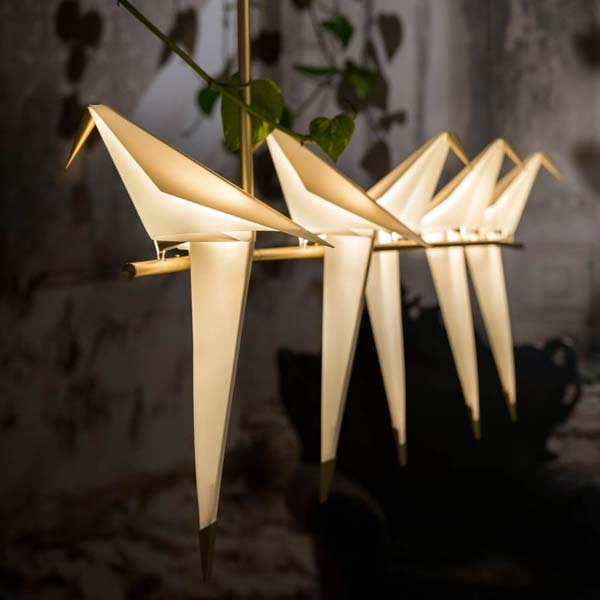 Material: Synthetic paper, brass, steel A family of six sculptural lamps celebrate the beauty and poetry of a bird perched on a branch, rocking darkness away when set in motion. 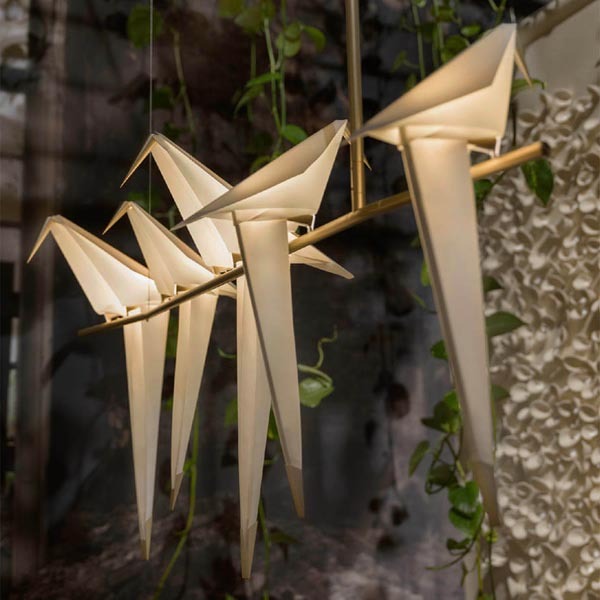 Crafted from paper in the form of an abstract bird sitting on a branch, these sunlit birds are free to swing when softly touched, gently glowing and bringing along the promise of spring. 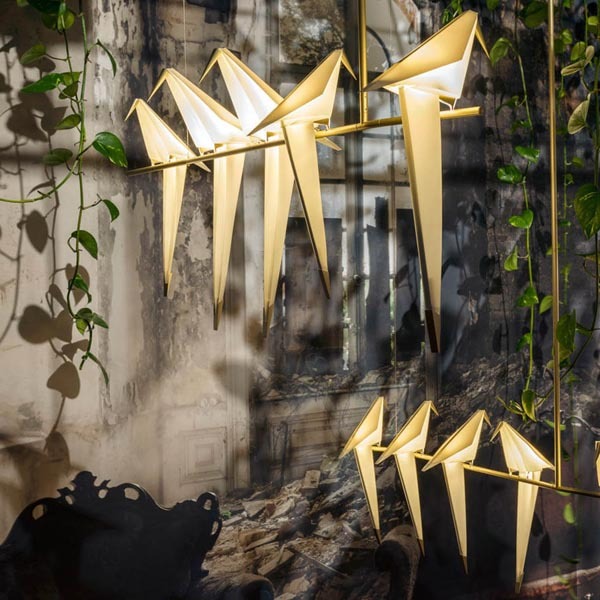 The Perch Light family for Moooi launched at Salone del Mobile, Milan in 2016. 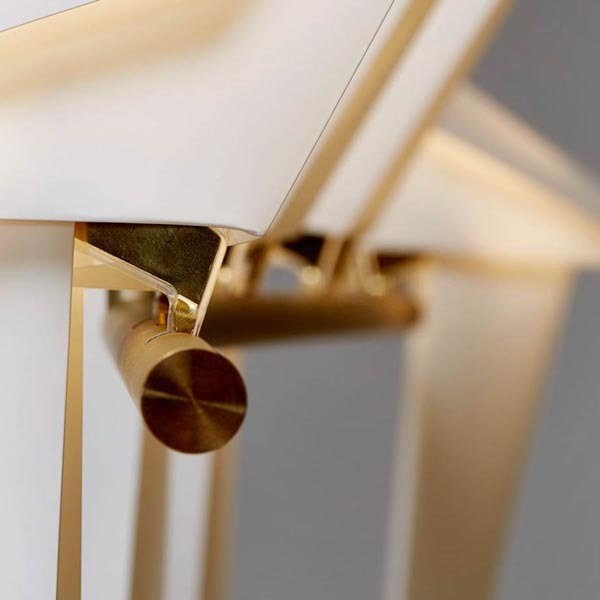 "The joy is in the detail" Umut Yamac Umut Yamac (Born 1980, London) Umut Yamac is a London based architect and designer with Turkish heritage. He graduated from the Bartlett School of Architecture, UCL with a distinction in design and went on to work for a number of internationally renowned architects and designers before establishing his own practice in 2011. He works on a diverse range of projects from the scale of the object to the architectural. 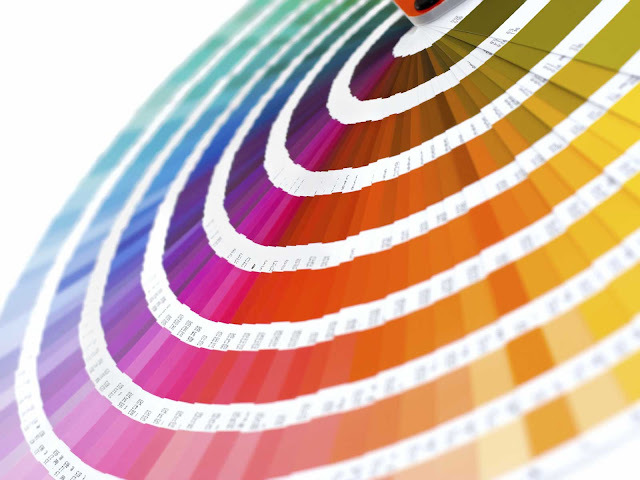 The common thread that unites each piece is the emphasis placed on the relationship with the user; and the desire to offer different levels of engagement, from purely functional to the playful and imaginary. 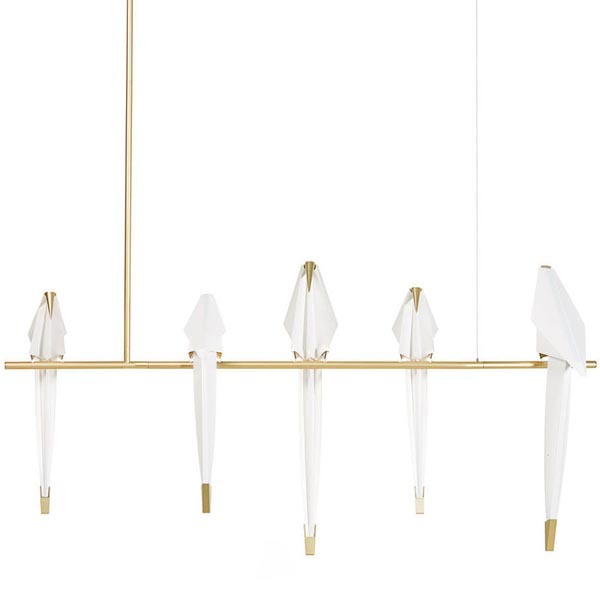 The Perch Light Branch features five White and Brass birds perched on a Brass branch. Integrated 15 total watt LED light source. 39.4 inch width x 20.1 inch height x 13.8 inch depth x 50 inch maximum length. Includes two 4 inch, two 6 inch, and two 19.5 inch downrods. Technical Specification Finish: Brass Shade Color: White Size: 50"L x 20.1"H x 39.4"W x 13.8"D Dimmer: 0-10V Must supply 2 extra wires from dimmer to power supply in canopy Lamp Source: LED Bulb:1 x LED/15W/120V LED LED module included Lamp Color: 2700K Color Rendering: 80 CRI Luminous Flux: 560 lumens Lumens/Watt: 37.33. 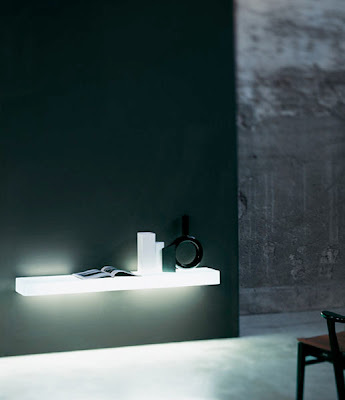 Perch light branch features steel, aluminum and PP with a solid state LED light source. 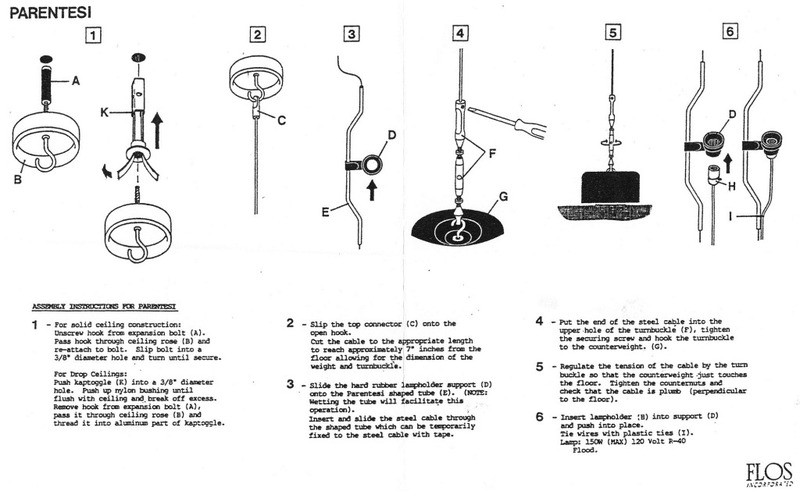 You can adjust the length of the suspension pole. Enclosed there are 6 parts of suspension poles in 3 different sizes: 2x10cm (3.9”), 2x15 cm (5.9”), 2x50cm (19.6”). Total 1.5M | 4.9". birds: 39.4" w | 20.1" h | 13.8" d | 10 lbs. | brass canopy: 8.1" dia. | 1.7" h black cable: 13.1' feet can be shortened down to 11.8" (32.8' feet on request) includes 15W 2700K, 80CRI, 560 lumen solid state LED | dimmable | UL listed.